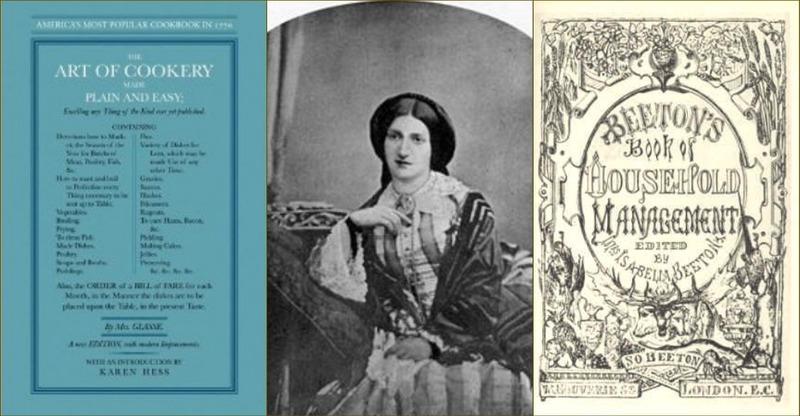 Hannah Glass and Mrs. Beeton, the most important cookbook writers in the history of England, were the first domestic goddesses in Britain long before Delia Smith or Nigella Lawson were on our radar. Two very different woman, from very different backgrounds and circumstances, both with strong wills who saw a niche in the market and jumped on the opportunity. On one hand Hannah Glasse died in relative obscurity in bankruptcy and debtors prison, ostracized from her family, compared to the fanfare of Mrs. Beeton's career the wife of a publisher. In the mid-18th century there was mass migration into the cities of people searching for better paying jobs which provided the perfect opportunity for these women to create careers for themselves long before this was even heard of or acceptable. The aspiring middle class flourished and it became a priority to put impressive food on the table but without any knowledge of how to cook or instruct servants. Enter Mrs. Glass and Mrs. Beeton! At the time the only cook books commercially available were written by "chefs for chefs" so the burgeoning middle class had few available resources for creating meals for their guests that would be anything other than embarrassing. Into the picture arrives Hannah Glasse. Born in 1708, the illegitimate daughter living with her prosperous fathers family in Northumberland. Good food and priveledge were an every day occurance. A bad marriage at the age of 16 to a soldier of fortune, John Glasse, left Hannah living with no means of support in London. Her bestselling guide The Art of Cookery Made Plain and Easy was published in 1747 where she wrote for domestic servants in a conversational, accessible way favouring simple dishes that are still cooked today. Oddly, even during her lifetime, it was trendy to deny that she was the author of this ground breaking book and the title page to her cookbook says it is written “by a lady". With recipes for rice pudding, beef rump, barbecued pork, trifle and even the first recipe in Britain for 'Curry the Indian way', as well as tips for choosing your ingredients and cures for the bite of a mad dog, this was an elegant and economical collection of recipes and housekeeping tips to save any homemaker "a great deal of trouble". Where were her family during this time, I don't know but poor business decisions led eventually to bankruptcy and being sent to debtors' prison. Before entering jail she sold the copyright of The Art of Cooking, but, worse than that, is the fact that this woman, who made such an extraordinary and valuable contribution to other women's lives, was written out of history, both her family's and ours. No image exists of her and the only record is that of her death in 1770. Over a hundred years later Isabella was born in Cheapside, London. She was the eldest of 21 children, who grew up in the grandstands of the race track in Surrey, where her stepfather, Henry Dorling, was clerk. She was married at a relatively young age to Sam Beeton, a publisher of books and magazines. Not someone to sit at home in the traditional role of a housewife, Mrs. Beeton started work in her husband's business, initially as an editor correcting English but then writing some of the columns herself. In 19th century Victorian England, Mrs. Isabella Beeton produced what became an essential book for housewives of the day The Book of Household Management . Its 2751 entries include tips on how to deal with servants' pay and children's health, and above all a wealth of cooking advice, instructions and recipes. It was an immediate bestseller, running to millions of copies within just a few years.The book gives a charming and historically significant insight into Victorian domestic management. Her life was not an easy one however. The publishing business went bankrupt, she lost two children at a young age and had several miscarriages. She died at the age of 28 but her place in history was set. One of my favourite well-travelled bloggers Mary of One Perfect Bite invited bloggers to travel along on a culinary journey throughout the year. For 50 weeks we will experiment with dishes from each of the 50 influential women on "the list". Whether you agree or disagree with the authors chosen fifty and their order it will be an enjoyable and creative outlet to cook from the masters. My cohorts for this adventure can be found below. If you would like to join in please contact Mary. This is an informal event and you have the flexibility to follow along when you can. She will be posting every Friday. Cooking from these historical cookbooks is a difficult undertaking despite the fact that these recipes are written with "clear and concise instructions"...perhaps for the times. I decided on a recipe for syllabub, a traditional frothy chilled English dessert, popular from the sixteenth to the nineteenth century. With ingredients such as "sack", orange flower, mead and "milk directly from the cow" I opted to recreate a modern version. It is easy to make and there are so many variations on the recipe that you can make it hundreds of different ways. Syllabub is essentially heavy cream curdled with wine, cider or spirits that separates into two layers. It can be flavoured with fruit, herbs or spices and is limited only by your imagination. In its early variations it was a drink made of new milk and cider, with the cows milked directly into an ale pot. This created a frothy cappuccino-like effect. To make a fine syllabub from the cow: Make your syllabub of either Cyder or Wine, sweeten it pretty sweet, and grate nutmeg in, then milk the Milk into the Liquor; when this is done, pour over the Top half a pint or pint of Cream, according to the Quantity of Syllabub you make. You may make this syllabub at Home, only have new milk; make it as hot as milk from the Cow, and out of a tea pot or any such thing, pour it in, holding your Hand very high. - Hannah Glasse The Art of Cookery Made Plain and Easy. Put the wine into a bowl, with the grated nutmeg and plenty of caster sugar add the milk and whisk. Clotted cream may be laid on the top, with ground cinnamon or nutmeg and sugar.A little brandy may be added to the wine before the milk is put in. In some counties, cider is substituted for the wine, when this is used, brandy must always be added. Warm milk may be poured on from a spouted jug or teapot, but it must be held very high. Sufficient for 5 or 6 persons. 1. Mix the wine, sherry, lemon juice and sugar in a bowl and stir to partly dissolve the sugar. Beat in the cream using an electric mixer or hand-held balloon whisk and continue beating until the syllabub thickens enough to hold a soft peak for a few seconds when the whisk is lifted, 10 to 15 minutes. Taste and beat in more sugar if needed. 2. Spoon the mixture into stemmed glasses, cover, and chill at least 6 hours and up to 3 days. On standing, the syllabub separates into a top layer of mousse and a bottom layer of clear wine punch – two treats in one. Just before serving, sprinkle the top with nutmeg or cinnamon. Serve the the fluffy, sweetened cream over berries, peaches, rhubarb, or any other fruit for a quick yet elegant summer dessert. Very informative. That syllabub must be delightful! 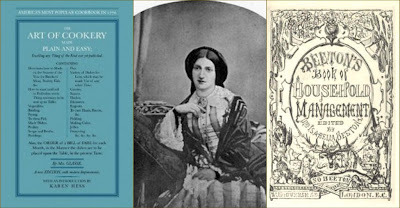 Loved getting the history of Mrs. Beeton ... such a shame she died so young. I am curious, though. Did your syllabub really separate into layers? Very cool and pretty, I bet!The raspberries and whipped cream atop are just so pretty! I just saw a recipe for syllabub in a Nigella coookbook ... must be something the folks in the UK have loved over the years. If allowed to sit it will separate into layers. This is a recipe made the original way. Mrs. Beeton created what they called an Everlasting Syllabub that does not separate, made with a different technique. What a fantastic tribute to these two women! You certainly did your research. I love how you were able to find a recipe that both of the women had in common. We're still waiting for pictures of you milking that cow, though! Hannah Glasse is new to me. Mrs. Beeton and I are old friends! Thanks for the info on both and the recipe. I keep laughing at these historical posts this week. Quite an undertaking you got yourself with Hannah Glasse and Mrs Beetons, next time maybe choose people this century only. Oh my the instructions in these recipes could keep me laughing for days! But the syllabub looks like it turned out fabulously...cow or no cow. I love learning about historic books like these. And, I wish I could get milk directly from a cow! Your modern syllabub sounds fantastic. I love the mini-history lesson in here! Looks so refreshing and just what I need at the end of the day. Now, if we could just get together and share the fruits of our labor we'd have a meal to make the two ladies proud! I really never knew what syllabub was until reading your blog. Yours looks beautiful...great post! I just learned how to make syllabubs last year and I'm a huge fan now. :-) I feel like I've taken a trip back in time when I dip my spoon in for a scoop. :-) Yours sounds splendid! As I live in the UK I found this post fascinating. Syllabub is still on my list of desserts but the waistline says not to make it too often! What a great post! I so enjoyed learning about the two ladies. What a great adventure you are taking! Val, great job portraying the life of these two women. I have never heard of Syllabub, maybe it is something I will try. This is a very cool recipe and I'm dying to try it now. I had no idea what syllabub was, although I have heard of it. I love how it separates into mousse and a wine punch. I can't wait to try this - thanks Val! Beautiful post, Val. 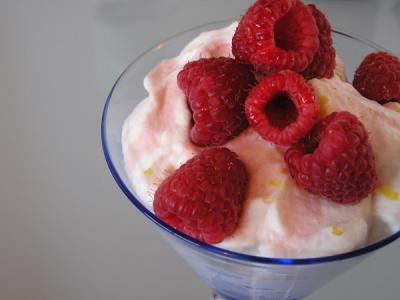 I can't help myself, but every time I say syllabub in my mind, I laugh, so for me this is a cheerful dessert. A really interesting post - and what a sad story that first one is!! 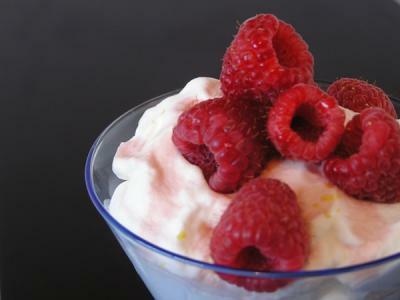 Syllabub is one of the old English desserts that I have always wanted to try - maybe it's time! syllabub! what a great word, and what a well-written and informative post. good stuff, val! This looks fantastic Val! I love historic recipes and this one is so much fun! I collect old cookbooks and love reading them. Where did you get your recipes to choose from. I read your post - but are the recipes from the original books on line somewhere? How did you choose what you would make - from what source? I would love to read the recipes.